The Congress is structured to generate outputs that will shape the next steps in the field of integrative science, transformative change in landscapes, tree improvement, innovative tree-based value chains, debates on global and local sustainability, reform of land and tree tenure and holistic education. 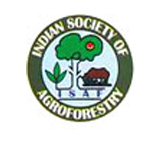 The World Congress on Agroforestry will be held in Delhi, India, 10-14 February 2014, co-hosted by the World Agroforestry Centre and the Indian Council of Agricultural Research. It will shape the next steps in the field of integrative science, transformative change in landscapes, tree improvement, innovative tree-based value chains, debates on global and local sustainability, reform of land and tree tenure and holistic education. The World Congress on Agroforestry 2014 (WCA14) will act as a springboard to accelerate the impacts of agroforestry, build people’s livelihoods, increase the vitality of the landscape and drive the adoption of large-scale innovations. 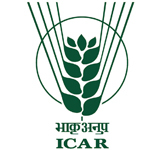 With the aim to significantly boost awareness, engagement and investments in agroforestry, the Congress will attract up to 1200 participants, including pre-eminent researchers, senior politicians and donors, as well as major businesses with concerns for sustainable development. 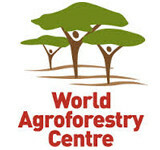 WCA14 will produce a global roadmap with clear targets for the future of agroforestry. Quest for an appropriate bamboo species in tropical homegardens - can Dendrocalamus stocksii (Munro) fit the bill? Howard Shapiro, Chief Agricultural Officer, Mars Inc.
How agroindustries influence cocoa growers’ cropping practices in Cameroon? Can payments for ecosystem services steer sustainable management of forest patches in an agricultural landscape? Agroforestry systems risk/revenue balance: an investors point of view. The Spinal: a sustainable productive alternative for the interior dryland development of the Chilean Central Mediterranean area? Why has community forestry made a limited contribution to agroforestry in Nepal? The planter's bet. Can family-own rubber farms match global challenges? Rubber monoculture or rubber agroforestry: are there implementable policy supports based on results from spatially explicit models? What is the influence of extension methods and approaches on adoption of agroforestry practices in Zambia? Are innovation platforms possible institutions for integrated natural resource management practices at the landscape level? All posters covering breakout sessions 4, 5 and 6 will be displayed. Poster presenters are required to stand by their posters, present their work and respond to participants’ questions. 1030–1100 Tea/coffee break - Book launch: The Jungle Trees of Central India: a field guide. Pradip Krishen, Penguin. Length of the tour- One day. Please click here to view the detailed itinerary. Length of the tour- Overnight. Please click here to view the detailed itinerary. Length of the tour- 4 days 3 nights Please click here to view the detailed itinerary.